Two famous Irishmen share their birthday today: snooker player Alex Higgins was born in 1949 and top flat racing jockey Pat Eddery in 1952. Higgins won two world titles, in 1972 and 1982. His brilliance was matched by a tendency to throw tantrums which increased as he slipped down the world rankings. Eddery, on the other hand, stayed at the top after winning the first of nine jockey’s titles in 1974. In 1990 he became the first man since Gordon Richards, in 1952, to ride 200 winners in a season. Jeff Stelling, sports journalist and sport television presenter who currently presents Gillette Soccer Saturday for Sky Sports was born today in 1955. Swedish skier Ingemar Stenmark was born in 1956. He won a record 86 World Cup races between 1974 and 1989 and was three times overall champion. 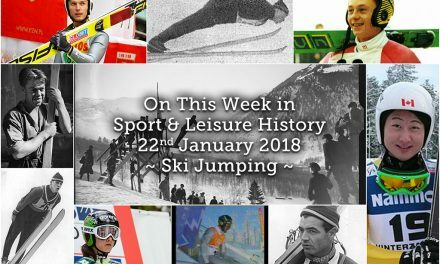 He won slalom and giant slalom gold medals at the 1980 Winter Olympics. South African tennis player Mariaan de Swardt was born on this day in 1971. She played as a professional from 1988 to 2001 and twice represented her native country at the Summer Olympics, in 1992 and 1996 and was a member of the South African Fed Cup Team in 1992 and 1994–1997 and in 2006 she became a U.S. citizen. De Swardt also won two Grand Slam titles in mixed doubles competition: the 1999 Australian Open and the 2000 French Open with partner David Adams. In addition to that, she also holds four women’s doubles titles and reached as high as No. 11 in the women’s doubles world ranking. She has one WTA Tour singles title from 1998 and reached No. 28 in the world singles ranking in 1996. Since retiring from tennis, she has been a commentator for Eurosport and South African television, and has coached at professional, collegiate and recreational level with her base being at Atlanta, Georgia. She now resides in Houston, Texas and is a teaching professional at the River Oaks Country Club. In 2004, she set up a non-profit charity, the Pet Care Fund, to help animals. Laure Savasta, French professional basketball player was born in 1974. She plays both point guard and shooting guard and was, with Isabelle Fijalkowski, amongst the first French players to ever play in the WNBA; indeed, she played for the Sacramento Monarchs and was a member of the French national team for a long time. She was the captain and one of the key players of Tarbes GB, taking part to the French championship and European competitions. Now retired, she started a career of basketball coach and TV commentator, on Sport+, for women’s basketball games. Oxford set a record time for the Boat Race in 1984 when they won the postponed event in 16min 45sec, the current course record was set by Cambridge in 1998 at 16min 19sec. 50,000 swimmers raised over £15million for charity during BT’s Swimathon in 1996. Canadian photographer, cinematographer and sound recordist Dan Gibson died on this day in 2006. During the late 1940s, Dan Gibson took photographs and made nature films, including Audubon Wildlife Theatre. Dan produced many films and television series through which he learned how to record wildlife sound. He pioneered techniques of recording, and also helped design equipment to optimize results, including the “Dan Gibson Parabolic Microphone”. Some of his early recordings of the 1950s and 1960s were released on LP records, and started his Solitudes series, which was introduced in 1981. In 1994, Dan was awarded The Order of Canada for his environmental works. In 1997, Dan was awarded the Walt Grealis Special Achievement Award at the Juno Awards ceremony in Hamilton, Ontario. In 2004, he released his first DVD, Natural Beauty, which was originally shot in High Definition. On this day in 2012 the Super-league Greek football match between Olympiacos and Panathinaikos was abandoned after fans set fire to Athens’ Olympic Stadium. Charles Edward Anderson Berry, otherwise known as “Chuck” died on this day in 2017. The American singer, songwriter, and one of the pioneers of rock and roll, refined and developed rhythm and blues into the major elements that made rock and roll distinctive. Writing lyrics that focused on teen life and consumerism, and developing a music style that included guitar solos and showmanship, Berry was a major influence on subsequent rock music. 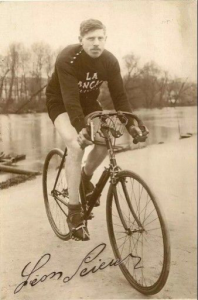 Léon Scieur, Belgian cyclist who won the 1921 Tour de France, along with stages 3 and 10, was born on this day in 1888. His first great victory was the 1920 Liège–Bastogne–Liège; he won a stage and finished fourth in the 1919 and 1920 Tours de France. On this day in 1892 three brothers play Test Cricket in the England v South Africa in Cape Town. Frank Hearne, who played for South Africa in this game, had previously played for England, while his brothers, Alec and George played for England. A cousin, John Thomas Hearne also played for the tourists. Norman Yardley, the former England and Yorkshire cricketer, was born in 1915. He skippered his national side on 14 of the 20 occasions on which he played for them. Born in 1916 Joe Rollino, decorated World War II veteran, weightlifter, and strongman. The son of Italian immigrants, Rollino dubbed himself the world’s strongest man in the 1920s, moving 3,200lbs (1,500kg) with his back during the prime of his career. Born and raised in Coney Island, New York, one of 14 children, he was only 5 feet 5 inches (1.65m) tall and weighed 150lbs (68kg), Rollino allegedly began lifting weights in the 1920s and trained for a time with Warren Lincoln Travis. He also took up boxing and toured the US as a boxer, fighting under the name Kid Dundee. Rollino also became known as a strongman, moving more than a ton, bending nails with his mouth and coins with his bare hands. He often appeared on the Coney Island Festival in the 1920s and 30s, being dubbed the world’s strongest man. Rollino boasted of lifting 635lbs (288kg) with one finger. He once lifted 450lbs (200kg) with his teeth. After retiring from active performing, he worked as a longshoreman and once worked as a bodyguard for Greta Garbo. Rollino was a lifelong and “devout” vegetarian. During his later years, he was known for his winter swimming activities. Rollino was part of the Iceberg Athletic Club, a now-defunct swimming club, for more than 20 years. 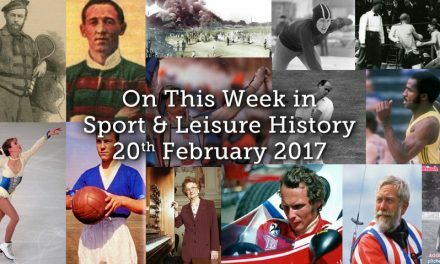 The BBC televised its first rugby match in 1938 when they covered the Calcutta Cup game between England and Scotland at Twickenham. The Scots managed a rare Twickenham success, thanks in part to a scintillating performance from Wilson Shaw, running out winners 21-16, outscoring England by an incredible five tries to one. Amongst the crown that day, on only his second-ever visit to the ground, was a young boy from the Borders who went on to become a future hero of televised rugby, later to become known as the “voice of rugby”, the legendary Bill McLaren. England and Nottingham Forest striker Nigel Clough was born in 1966, two days before his father’s 31st birthday. The son of Forest manager, Brian Clough, he emulated his father by playing for England. On this day in 1990 the first world ice hockey tournament for women was held in Ottawa. Laura Davies won the LPGA Standard Register PING Golf Tournament on this day in 1995. Lithuanian swimmer Rūta Meilutytė was born in 1997. Olympic gold medallist, and world record-holder, she is the current world record holder in the 50m, 100m breaststroke (long course) and 100m breaststroke (short course). By the age of 15, she had already broken eleven Lithuanian women’s swimming records. At the 2011 European Youth Summer Olympic Festival (Trabzon,Turkey) Meilutytė won the gold medal in the 100m breaststroke, a silver in the 50m freestyle and a bronze in the 100m freestyle. At the 2012 Summer Olympics in London, Meilutytė won the gold medal in the women’s 100m breaststroke with a time of 1:05.47. At 15 years old, she was also the youngest Lithuanian athlete to win an Olympic gold medal. In the semi-final she broke the European record in the 100m breaststroke with a time of 1:05:21. In 2013 Meilutytė broke her own European record by 0.01-second, Rūta competed at 2013 World Aquatics Championships, in Barcelona, and achieved world records in the 100m, and 50m breaststroke. At the age of 17 she became the first and the only swimmer in history to win all available junior and senior international swimming championships at least once. American Baseball player Joanne Weaver (″Joltin’ Jo″) died today in 2000. She was a right fielder who played between 1951 and 1954 in the All-American Girls Professional Baseball League. One of the most talented hitters in AAGPBL history, Joanne Weaver was the youngest of three sisters to play for the Fort Wayne Daisies in the final years of the league. Weaver often outdid her renowned sister, Betty Weaver Foss, as a power hitter, winning three consecutive batting titles and setting several all-time records. At this point, the Weaver-Foss duet led the AAGPBL in most major offensive categories between 1952 and 1954. A three-time All-Star, Joanne earned Player of the Year honours in 1954, when she hit a .429 average to set an AAGPBL single-season record. Besides this, her .429 mark was the highest Professional American Baseball batting average collected by any player in a single season in a minimum of 300 at-bat appearances. Following her baseball career, Joanne Weaver lived in Fort Wayne, Indiana for more than 30 years. In November 1988, the Weaver sisters received recognition when the Baseball Hall of Fame and Museum in Cooperstown, New York dedicated a permanent display to the entire league rather than any individual player. In 1990 Joanne moved back to her hometown of Metropolis, Illinois, to be with her parents. Betty returned in 1994 while Jean moved back in 1995, allowing the three Weaver sisters to see each other every day. Betty died in 1998, at the age of 68, following complications related to Amyotrophic lateral sclerosis (Lou Gehrig‘s disease). Joanne died in 2000 at age 64 of the same disease that claimed her sister. Eight years later, Jean died at age 74. On this day in 1852 Harriet Beecher Stowe’s novel about slavery, “Uncle Tom’s Cabin,” was published. Today in 1898 the first recorded international cross-country race took place at Ville d’Avray near Paris. 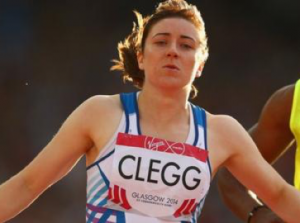 England beat the hosts over a nine-mile (14.5km) course. Scotland beat England at Twickenham for the first time in 1926, the score was 17-9. They went on to share that season’s championship with Ireland. American Long-jumer Jerome Biffle, was born in Denver, Colorado in 1928. At school he won all-state honours in the 100yd and 220yd sprints, high jump and long jump before landing at the University of Denver where he was known as “the one-man track team”. In 1950, Biffle captured first-place finishes at the Kansas, Drake, and West Coast Relays, which were known as the “big three” of college track events during that period, as well as winning the NCAA long jump title. In that same year, he was named Track and Field News‘ top collegiate track star. After DU, he earned a spot on the 1952 U.S. Olympic team and competed for the US in that years Games held in Helsinki, Finland winning long jump gold medal on his final attemptHe died in Denver in 2002 from pulmonary fibrosis. On the same day in 1937 England gained their revenge over Scotand by winning 6-2 at Murrayfield. They went on to win their 11th Triple Crown. Yelena Romanova was born in 1963, a Russian middle distance runner. She won the 3000m Olympic gold medal in 1992. She was found dead of unknown causes at age 43 in her flat in Volgograd. 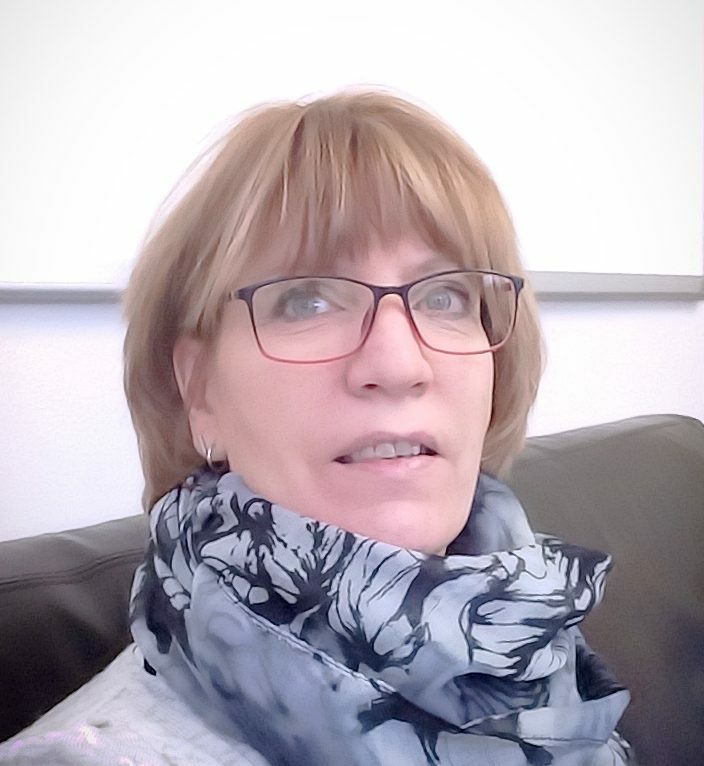 At the time of her death she was employed as athletics coach at a local sports school and also worked with members of the Russian athletic team. The top Russian goalkeeper Lev Yashin died at the age of 60 in 1990. He won 78 Soviet caps between 1952 and 1972 He was known for his athleticism in goal, imposing stature and reflex saves. He was also deputy chairman of the Football Federation of the Soviet Union. Yashin earned iconic status for revolutionizing the goalkeeping position by stamping his authority on the entire defence. He shouted orders at his defenders, came off his line to intercept crosses and also ran out to meet onrushing attackers, done at a time when goalkeepers spent the 90 minutes standing in the goal waiting to be called into action. His performances made an indelible impression on a global audience at the 1958 World Cup, the first to be broadcast internationally. He dressed head to toe in black, thus earning his nickname the ‘Black Spider’, which enhanced his popularity. Yashin appeared in four World Cups from 1958 to 1970, and in 2002 was chosen on the FIFA Dream Team of the history of World Cups. In 1994 he was chosen for the FIFA World Cup All-Time Team, and in 1998 as a member of the World Team of the 20th Century. According to FIFA, Yashin saved over 150 penalty kicks in professional football – more than any other goalkeeper. He also kept over 270 clean sheets in his career, winning a gold medal at the 1956 Olympic football tournament, and the 1960 European Championships. 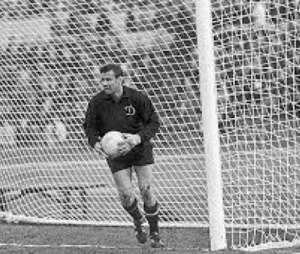 In 1963, Yashin received the Ballon d’Or, the only goalkeeper ever to receive the award. He was voted the best goalkeeper of the 20th century by the IFFHS. 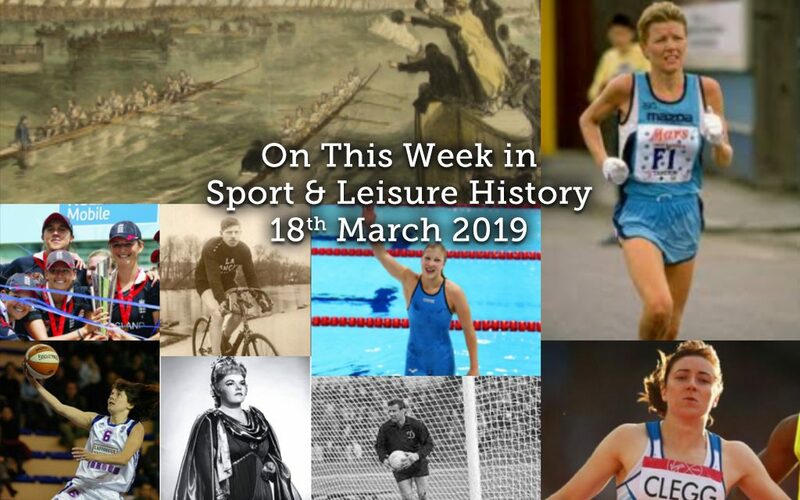 This day in 1992 was quite a busy one for sport – Aldershot FC, which had been declared bankrupt in the High Court on March 18th, played their last Football League game, losing 2-0 away at Cardiff. Their record of three wins and eight draws from 36 matches was deleted from the Football League records…on the same day that Aldershot were playing their last match, the former Wales and Arsenal goalkeeper Jack Kelsey died at the age of 62. John Oakes, the former Charlton Athletic player also died on this day, he was 86. While in the US on this day in 1992,Victor Kiam agreed to sell his 51% stake in the New England Patriots gridiron team for $50million and Tommy Hearns lost his world light-heavyweight title on a split decision to Iran Barkley at Las Vagas. On this day in 2014 Bulgarian sumo wrestler Kotooshu announces his retirement today; he won the Emperor’s Cup in 2008 and achieved the second-highest rank of ozeki during his career. Today in 1871 journalist Henry Morton Stanley begins his trek to find the missionary and explorer David Livingstone. On this day in 1874 a crowd of 3500 at the old Hampden Park ground saw Queen’s Park beat Clydesdale 2-0 in the first Scottish Fa Cup Final. Queen’s Park went on to win the cup in its first three seasons. In 1908 Frenchman Henri Farman carries a passenger in a bi-plane for the first time. On this day in 1928 Charles Lindbergh is presented with the Medal of Honour for the first solo trans-Atlantic flight. Brian Clough, who started the 1992-3 season as the longest-serving manager in the football League, was born in 1935. As a player, Clough was a brilliant goal-scorer, netting 251 times in 274 League games, and was twice the Football League’s top scorer in the 1950s. Brazilian motor-racing driver Ayrton Senna was born in 1960. He made his F1 debut with Toleman in 1984. Four years later he won his first world title, with McLaren. He regained it in 1990 and successfully defended it the following year with eight race wins. Senna was the second man, after Alain Prost, to accumulate 500 world championship points in a career. He started 65 races from pole position, just three less than the record holder Michael Schumacher with 68 pole-sitting starts. Ingrid Kristiansen was born in 1956. She was the first athlete to win world titles in all three running disciplines of track, road and cross country. She also held world records in three different distances in the 5,000m, 10,000m and the marathon events. As an elite nordic skier from Norway, she developed great fitness in that sport first, which helped her transition into becoming an international-level runner. 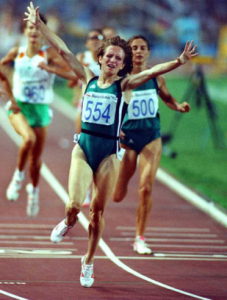 Although she did not become an Olympic champion, she did win gold medals at the IAAF World Track and Field Championships, which were every bit as valuable with her 10,000m gold from Rome, Italy in 1987 and a bronze in the inaugural Sittard, Netherlands championships in 1980 in the 3,000m distance event. 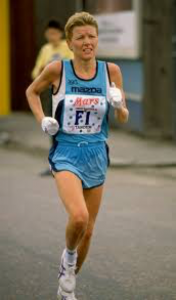 She may be best known for her prowess in the marathon, with her one-time world-best of 2:21:06 (1985) being a very competitive result today, 19 years later. She is also a three-time winner of the Stockholm Marathon, two-time winner in Houston and has won both the New York City Marathon and the B.A.A. Boston Marathon. At least 11 times she ran under the 2:30:00 benchmark. In the 10,000m distance, her former world record of 30:13.74 currently stands as the 15th fastest all-time. No runner has finished faster since 2009. Today, she continues to train and lead a healthy lifestyle running and nordic skiing in her native Norway. Indian batsman Sunil Gavaskar scored the first of his 34 Test cricket tons (116) at Georgetown against the West Indies on this day in 1971. He held this record (34 Test centuries) for almost two decades before it was broken by Sachin Tendulkar in December 2005. 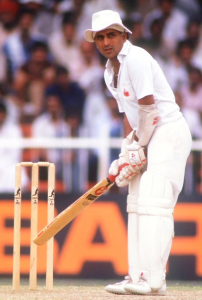 He was the first person to score centuries in both innings of a Test match three times, but unlike Ricky Ponting and David Warner (who also achieved the feat three times) after him, none of his games yielded a win. He was the first Test batsman to score 10,000 Test Runs in a career. On this day in 1985 Arthur Ashe was nominated for the International Tennis Hall of Fame. Comedy genius Ernie Wise died on this day, aged 73, in 1999. Born Ernie Wiseman, he forged his comedy partnership with Eric Bartholomew when he was 16, in the 1940s. But Wiseman and Bartholomew was too long for bright-lights and billboards and they renamed as Morecambe and Wise. For four decades, the duo whose Christmas specials became a national institution captured the public’s affection with a mix of self-deprecating charm and schoolboy humour. They were both awarded OBEs in 1976. Their theme tune was Bring Me Sunshine but the final curtain came with Morecambe’s death in Gloucestershire from heart failure in May 1984, aged 57. Ernie described it as the saddest day of his life. Wise’s own death came just days after that of 71-year-old Sid Green, co-writer of classic sketches for Morecambe and Wise. On this day in 2006 the social media website Twitter was launched with the first tweet by co-founder Jack Dorsey. Mike Hall, British cyclist and race organiser who specialised in self-supported ultra-distance cycling races, died on this day in 2017. In 2012, he won the inaugural World Cycle Race. In 2013 and 2016, he won the Tour Divide ultra-endurance mountain bike race across the Rocky Mountains in Canada and the United States. In 2014, he won the inaugural Trans Am Bike Race, a road-based event from the Pacific coast to the Atlantic coast in the United States. From 2013, he was the principal organiser of the Transcontinental Race, an event similar to the TransAm Bicycle Race, but that traverses Europe. He was also featured in the cycling film Inspired to Ride a film directed by Mike Dion, he died after being struck by a car, just south of Canberra, during the inaugural Indian Pacific Wheel Race across Australia, after covering just over 5,000km of the 5,500km distance. An informal meeting 0f clubs interested in forming a Football League was held at Anderson’s Hotel, Fleet Street in 1888. The first formal meeting took place in 17th April. The first rugby union international between England and France was played in Paris in 1906. England won 35-8. The 1929 Grand National attracted a record field of 66 runners. The 100-1 winner was Gregalach, ridden by Bob Everett. Scotland’s only world darts champion, Jocky Wilson, was born in 1950. He twice lifted the world crown, in 1982 when he beat John Lowe 5-3 and in 1989 when he defeated Eric Bristow 6-4. Wilson won many other titles in his career including the British Professional Championship a record four times between 1981 and 1988, as well as the prestigious British Open and Matchplay titles. Wilson never formally announced his retirement from darts; he simply departed from the sport suddenly on 23 December 1995. It is believed that he left after being diagnosed with diabetes, which stopped him drinking during games. He was declared bankrupt in 1998, and then survived on a disability allowance, living as a recluse in a one-bedroom flat back on the council estate where he grew up. He also suffered from arthritis in his hands. Wilson ceased giving interviews to the press and television. An Observer reporter tried to interview him in January 2007 on the 25th anniversary of his first title win, only to be told by his wife, “He never has (given an interview) since stopping and never will. He thinks it’s all in the past, it’s over with.” However, he did give an interview to The Scotsman in 2001. 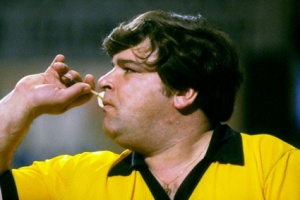 Despite Wilson’s withdrawal from the game, in August 2009 the PDC announced a new tournament called “The Jocky Wilson Cup” in which Scotland’s best players played England’s best. England beat Scotland 6-0 in the inaugural tournament in December 2009. A heavy smoker for forty years, in November 2009 it was announced that Wilson had been diagnosed with chronic obstructive pulmonary disease. Reports stated that he had smoked up to 50 cigarettes a day for most of his life. He died just after 9 p.m. on 24 March 2012 at his home in Kirkcaldy, at the age of 62. His funeral was held on 2 April at the crematorium in his home town. His great rival Eric Bristow and sports presenter Helen Chamberlain were among the estimated 400 mourners. Today in 1980 President Jimmy Carter announced to the US Olympic Team that they would not participate in the 1981 Summer Games in Moscow as a boycott against Soviet intervention in Afghanistan. On this day in 1989, one of the most gruesome looking sports injuries ever to happen occurred. In an NHL game between the St. Louis Blues and Buffalo Sabres, two players collided at the front of the net, and one player’s skate catches Sabres goalie Clint Malarchuk on the neck, slicing open his jugular vein. Blood started pouring from his neck onto the ice–yet amazingly, Malarchuk left the ice under his own power with the assistance of the team’s trainer. Seven people in the stands fainted, two had heart attacks, and some of his own teammates threw up on the ice. “All I wanted to do was get off the ice,” says Malarchuk. “My mother was watching the game on TV, and I didn’t want her to see me die.” Fortunately for Malarchuk, the team’s trainer, Jim Pizzutelli, was a former Army medic who served in Vietnam. Pizzutelli reached into Malarchuk’s neck and pinched off the bleeding, not letting go until doctors arrived and started closing the wound. Malarchuck had been minutes from becoming the second on-ice fatality in NHL history. It was estimated that if the skate hit slightly higher on Malarchuk’s jugular, he would have been dead within two minutes. In the dressing room and on his way to the hospital, doctors spent 90 minutes and used over 300 stitches to close the wound. Amazingly enough, he came back from the injury, in the same season! While reports that he came back in just a few days may be overstated, he did come back that same season, and played in the NHL for several more seasons after the incident. And now all goalies in the NHL are required to wear some form of neck protection. 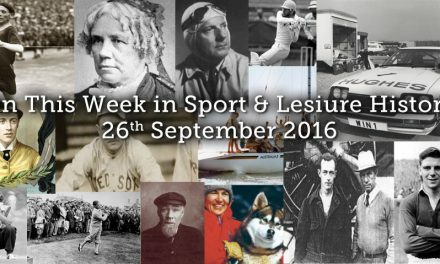 British swimmer Mark Foster swam to a then world record 50m butterfly time of 23.68secs on this day in 1994. The French swimmer Alain Bernard set a world record of 47.50secs for the 100m freestyle, long course, in winning the European LC Championships today in 2008. In the 2009 Women’s World Cup Cricket final England defeated New Zealand by 4 wickets at the North Sydney Oval. Today in 2015 the remains of Richard III, King of England from 1483-1485, were escorted in a royal funeral procession; his remains were discovered in Leicester in 2012 and were later reburied at Leicester Cathedral. Cricketer and footballer Arthur Grimsdell was born in Watford on this day 1894. He played at centre-half and later wing-half for Tottenham Hotspur and England and captained both teams during the 1920s. Grimsdell started his career at St Albans City and Watford but transferred as a schoolboy player to Tottenham Hotspur, playing his first game at the age of 18 in 1912. His career was interrupted by the First World War. On his return in 1919 he captained Tottenham during the 1919-20 season and led them when they won the Second Division that year. In the following season he captained the side, which won the FA Cup in 1921. His successful club career continued until he broke his leg during the 1925 season. He did not return to play for the side until 1927 and he went on to play for Spurs until April 1929 when he was released by the club. He subsequently went to Clapton Orient where he took on a player-manager-secretary role. He made in total 418 appearances for Tottenham scoring 43 goals including 324 League appearances (26 goals) and 36 F.A Cup matches (1 goal). In recognition of his distinguished career and service to the club he was admitted to the Tottenham Hotspur Hall of Fame. Following the conclusion of the Second World War, Grimsdell served on Watford’s board of directors from 1945 until 1951. 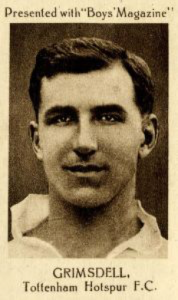 Grimsdell had a trial for the England team in 1913 but only started his international career after the war when he played for England 6 times between 1920 and 1923 as a left-half, captaining the team on three of these occasions. He was also an accomplished cricketer at both County and First class level, a right-handedbatsman and ‘occasional’ wicketkeeper who played for Hertfordshire CCC in the minor counties league. He played once for the East of England side against New Zealand at Wisbech, Cambridgeshire in July 1927, scoring 3 runs (1st innings) and 40 runs (2nd innings). He was considered a sports personality of his era, featuring on footballer cigarette cards and interviewed for sports magazines. He died, aged 68 in Watford on 12 March 1963. On this day in 1922 Arthur G Hamilton set a new parachute record, safely jumping 24,400 feet. In 1927 Captain Hawthorne Gray set a new balloon record soaring to a height of 28,510 feet. Sir Roger Bannister was born on this day in 1929. He is of course most famous for being the first person to run a mile in under 4 minutes. In the 1952 Olympics in Helsinki Bannister set a British record in the 1500m but finished fourth. This strengthened his resolve to be the first 4-minute miler. He achieved this feat on 6 May 1954 at Iffley Road track in Oxford, with Chris Chataway and Chris Brasher providing the pacing. When the announcer declared “The time was three…”, the cheers of the crowd drowned out Bannister’s exact time, which was 3min 59.4 sec. Bannister’s record lasted just 46 days. He had reached this record with minimal training, while practising as a junior doctor. Bannister went on to become a distinguished neurologist and Master of Pembroke College, Oxford, before retiring in 1993. When asked whether the 4-minute mile was his proudest achievement, he said he felt prouder of his contribution to academic medicine through research into the responses of the nervous system. Bannister is patron of the MSA Trust. He was diagnosed with Parkinson’s disease in 2011. Mike Hailwood, one of Britain’s best-loved motor-cycle champions, died on this day in 1981. He lost his life in a car accident hear his home in Birmingham while going to buy fish and chips. His daughter Michelle also died in the crash. Mo Farah, was born on this day in 1983 on the track, he mostly competes over 5000m and 10,000m, but has run competitively from 1500m to the marathon. The most successful British track athlete in modern Olympic Games history, he is the 2012 and 2016 Olympic gold medallist in both the 5000 m and 10,000m, and is the second athlete in modern Olympic Games history, after Lasse Virén, to successfully defend the 5000m and 10,000m titles. Farah also completed the ‘distance double’ at the 2013 and 2015 World Championships in Athletics. He was the second man in history after Kenenisa Bekele, to win long-distance doubles at successive Olympics and World Championships, and the first in history to defend both distance titles in both major global competitions – a feat described as the ‘quadruple-double’. Farah’s unbeaten streak in global distance finals runs to 9, having finished 2nd in the 10,000m at the 2011 World Championships in Athletics; Farah had an unbroken streak of ten global final wins (the 5000m in 2011, the 10,000m in 2017 and the double in 2012, 2013, 2015 and 2016). The streak ended in Farah’s final championship track race, when he finished second to Ethiopia’s Muktar Edris in the 2017 5000m final. In his final track race, the 2017 Diamond League Final in Zurich in August 2017, Farah gained his revenge, edging out world champion Edris to win his first and only IAAF Diamond League title at 5000m. Farah is the most decorated athlete in British athletics history, with ten global titles, and was the first British athlete to win two gold medals at the same world championships, although Dame Kelly Holmes had achieved the feat at an Olympic Games. His five gold medals at the European Athletics Championships make him the most successful athlete in individual events in the championships’ history. He has won the European Athlete of the Year award and the British Athletics Writers Association British Athlete of the Year award more than any other athlete, three times and six times respectively. Farah was appointed Commander of the Order of the British Empire (CBE) in 2013 and was knighted by Queen Elizabeth II in the 2017 New Year Honours for services to athletics. Mo Farah also was the new (football) forward for Sky Bet League Two side Newport County FC after impressing their manager in the Game 4 Grenfell in September 2017. He scored the opening goal in that match. He won the 2018 Chicago Marathon in a time of 2:05:1. Farah has announced that he is planning to run again in Vitality’s London Big Half Marathon in March 2019. In an interview, he also stated that he is considering competing in the Tokyo Olympics in 2020, which, if confirmed, would mark his third Olympic games. He has also confirmed that he may run in the 10,000m at the World Championships in Doha in 2020, although this would depends on the result of the 2019 Big Half Marathon. 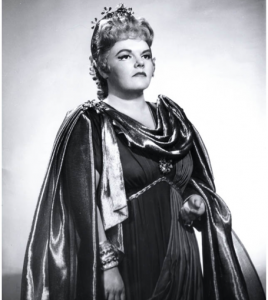 American soprano singer Eileen Farrell died on this day, aged 82, in 2002, after a nearly 60-year-long career performing both classical and popular music in concerts, theatres, on radio and television, and on disc. While she was active as an opera singer, her concert engagements far outnumbered her theatrical appearances. Her career was mainly based in the United States, although she did perform internationally. The Daily Telegraph stated that she “was one of the finest American sopranos of the 20th century; she had a voice of magnificent proportions which she used with both acumen and artistry in a wide variety of roles.” And described as having a voice “like some unparalleled phenomenon of nature. She is to singers what Niagara is to waterfalls.” Farrell began her career in 1940 as a member of the CBS Chorus on CBS Radio. In 1941 CBS Radio offered her her own programme, Eileen Farrell Sings, on which she performed both classical and popular music for 5 years. In 1947 she launched her career as a concert soprano and nine years later began performing on the opera stage. The pinnacle of her opera career was five seasons performing at the Metropolitan Opera from 1960–1966. She continued to perform and record both classical and popular music throughout her career, and is credited for releasing the first successful crossover album: “I’ve Got a Right to Sing the Blues” (1960). After announcing her retirement from performance in 1986, she still continued to perform and record music periodically up into the late 1990s. She was also active as a voice teacher, both privately and for nine years at Indiana University. 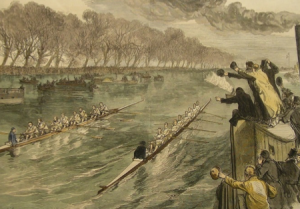 The 1877 running of the Cambridge and Oxford Boat Race ended in a dead heat for the first and only time. 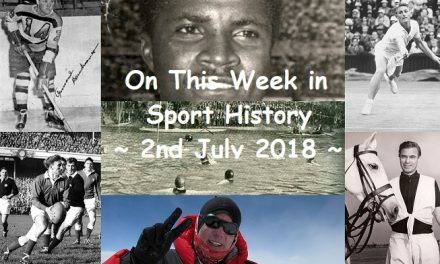 British athlete Albert Hill was born today in 1889, he competed at the 1920 Olympics and won gold in the 800m and 1500m and a silver in the 3000m team race. Hill started out as a long-distance runner, winning the British AAA championships over 4 miles in 1910. During World War I he served with the Royal Flying Corps in France, and after the war changed to middle-distance running, he won the 880yd and 1 mile at the 1919 AAA championships and then equalled the British record of 4:16.8 for 1 mile. He nearly wasn’t selected for the Olympics the following year, the selectors considering 31-year-old Hill too old. Finally, he was allowed to take part where he made the 800m final, which was a closely contested race. In the end Hill beat American Earl Eby for gold, setting a British record of 1:53.4 on a slow track. Two days later, Hill completed the middle distance double by winning the 1500m as well, thus completing a “double” not replicated by a British athlete until Kelly Holmes at the 2004 Olympics. Helped by his compatriot, Philip Baker (who would receive the Nobel Peace Prize in 1959), he won comfortably, with Baker in second in a time of 4:01.8. Hill also competed in the 3000m team race event, in which the British team finished second, earning Hill’s third Olympic medal. Hill won the 1921 AAA mile championship in a British record of 4:13.8, this was 1.2 seconds outside the world record and the second fastest amateur time ever. Hill ended his running career in 1921 and became a coach himself, his most famous protégé being Sydney Wooderson. He emigrated to Canada shortly after World War II, and died there in 1969. In 2010, he was inducted into the England Athletics Hall of Fame. On this day in 1962 two-time welterweight champion of the word Benny Paret was basically pummelled to death by challenger Emile Griffith at Madison Square Garden. It was in the 12 round that Paret came to his grim end when a pair of right hands rocked him and sent him into a corner. Griffith threw right uppercuts over and again until Paret’s head swayed between the ropes and he became trapped and took several more two-fisted punches before referee Ruby Goldstein could pry Griffith away. By then it was too late; Paret sagged to the canvas, all captured live on ABC’s ‘Friday Night Fights’ special. Paret, never woke up and died of pneumonia 10 days later on April 3, he was just 25 years old. In the 1972 Grand National only three of the 32 starters finished. First over the line was 100-9 shot Music Hall ridden by Bilbie Rees. The former Scotland, Derby County, Nottingham Forest and Birmingham City goalkeeper Archie Gemmill was born in 1947. He played for Scotland 43 times. In the 1978 World Cup finals he scored one of the finest goals in the history of the tournament, weaving his way through the Dutch defence before unleashing a swerving shot into the corner of the net. Top American golfer Par Bradley was born in 1951. Twice LPGA Player of the Year, she has won all four of the ladies’ major tournaments; in 1986 only the US Open eluded her. On this day in 1984 the IOC agrees to a six team exhibition baseball tournament at the Olympics. Ian Woosnam won his first golf tournament in the United States, beating Jim Hallet at the second extra hole in the 1991 USF and G Classic at New Orleans. Three weeks later he won his second – the Masters. Punch ended 150 years of satire on this day in 1992. Britain’s oldest satirical magazine closed after suffering crippling losses of £1.5m a year. The decision ended a publishing tradition dating back almost 151 years. However in early 1996, the Egyptian businessman Mohamed Al-Fayed bought the rights to the name, and Punch was re-launched later that year. It was reported that the magazine was intended to be a spoiler aimed at Private Eye, which had published many items critical of Fayed. The magazine never became profitable in its new incarnation, and at the end of May 2002 it was announced that Punch would once more cease publication. Press reports quoted a loss of £16 million over the six years of publication, with only 6,000 subscribers at the end. Whereas the earlier version of Punch prominently featured the clownish character Punchinello (Punch of Punch and Judy) performing antics on front covers, the resurrected Punch magazine did not use this character, but featured on its weekly covers a photograph of a boxing glove, thus informing its readers that the new magazine intended its name to mean “punch” in the sense of a punch in the eye. Great work Margaret. How do you manage to put this together so well each week!!!!! !